Approximately 15 years ago, in 2004, we released our first commercial version of SmartFoxServer, called SmartFoxServer Basic. It was the fruit of our previous experience with SmartFoxServer Lite, a free multiplayer server launched one year before on gotoandplay.it, one of the top Flash developer communities of the time. Fifteen years might not seem much, but in technological terms it feels like ages ago, when things that we give for granted such as Youtube, Instagram or the iPhone didn’t even exist. In this blog post we’re going to take a look back at evolution of SmartFoxServer since its early days and the many changes and incredible growth of multiplayer gaming in the past 10+ years. This entry was posted in Articles and tagged sfs2x, sfsPro on April 10, 2019 by SmartFoxServer Team. Are you interested in moving your multiplayer game based on the older SmartFoxServer Pro to the more advanced and feature-rich SmartFoxServer 2X, but you don’t want to waste your existing license/s? 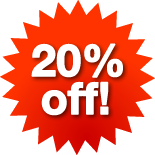 Until May 10th 2015 our special promotion allows you to convert to SmartFoxServer 2X by taking advantage of a 50% discount on its retail price. 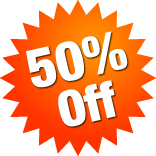 And if you want to convert three or more licenses you get an additional 10% volume discount. Read all the details on this page! This entry was posted in News and tagged promo, sfsPro on April 8, 2015 by SmartFoxServer Team. Ten years ago, in late November 2004, we launched our first commercial version of SmartFoxServer, the Basic edition, which was soon followed by the PRO version in early 2005. To celebrate the 10 years of activity, and in conjunction with the holiday season, we’re happy to announce an amazing 20% discount campaign on all licenses and license upgrades available in our online store. Visit our online shop to see all the discounted prices, and make sure to take advantage of this unique offer! This entry was posted in News and tagged promo, sfs2x, sfsBasic, sfsPro on November 24, 2014 by SmartFoxServer Team. Packt Publishing has recently released a new book entitled Flash Multiplayer Virtual Worlds that analyzes the many aspects of MMO development, using SmartFoxServer Pro. The book touches a lot of topics: from basic architecture to techniques for building the world and avatars, server side coding, designing quests and lots more. The publication is available both in printed and electronic form and you can read more details on the publisher’s website. This entry was posted in News and tagged books, mmo, sfsPro on September 2, 2010 by SmartFoxServer Team.